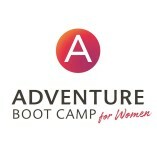 Functional from September 2005, Adventure Boot Camp is a well-known name for providing best outdoor fitness programme to South African Woman. They have centres in more than 60 locations like Cape Town, Stellenbosch, Somerset West, Johannesburg,... Pretoria, Centurion, Durban, Polokwane, Potchefstroom and more. Their dedicated professionals and health trainers ensure that the campers receive the best service at affordable price.